Doerr seems really proud of the fact that he managed to squeeze in some math into his book, as he mentions it in nearly every interview. But this is not a dense book. Not a criticism per se, it is what it is and has done very well, but this book isn’t Gravity’s Rainbow, so let’s stop pretending otherwise. Sigh. If you really believe this, you have absolutely no understanding of American popular culture. Wow. Care to elucidate this? I would say that Doerr has a pretty good understanding of how popcult works, as his book is about WW2 and has a sympathetic, ie complex, Nazi in it. If that’s not pandering to the masses then I don’t know what is. I have to agree with Ben. No one ever went hungry making a movie or writing a book about World War II. That is a nice sentence, but I rebel against the received notion (almost holy writ in writing courses at this point) that the more compressed language is, the better. It all depends on context and desired effect. Adjectives and adverbs are great at revealing character perspective, and for the purposes of achieving comic effect. The British comic tradition is, for example, about half indebted to the use of judicious adverbs. Is a completely different sentence with the addition of one word. For that matter, if compression of language is the ideal, the sentence could be a lot more compressed. Certainly, by this criterion, “along the streets” is superfluous (since we know that cars drive along streets). Also, “she can hear” could be struck–it not only adds words, but creates a reported feel that reduces the free-indirect quality of the writing. Presumably, however, Doerr wrote the sentence this way because it sounded better to him. Among other factors, “she can hear” creates more space between “snowmelt” and “snowflakes,” an anti-compression that allows Doerr to use two words he wants to use. Again, context. It’s a point well-taken that bad writing tends to lean too heavily on modifiers to do its heavy lfiting. As stylistic cant, however, this “rule” can be suffocating. And I believe it has tended to produce, over the last thirty years, an unobjectionable economical American literary style that is, at once, adequate, and somehow lacking in the stylistic idiosyncracies and extravagances that can make great writing great. Is anyone more humorless than a Millions commenter? Whenever I stoop to reading the comments on an essay I find interesting on The Millions I am always taken aback by not just the negativity, but the seeming universality of that negativity in the comments. Geez. That’s some joyless literary trolling there. Unsuccessful writers among the group perhaps? Yeah, we’re all just jealous, Marie. That’s the answer. That’s always the answer. The easiest answer, right? I agree that an accusation of pandering is probably a bridge too far (get it?). 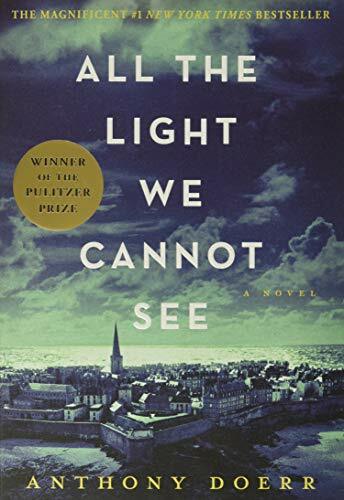 It’s a fair observation, however, that American audiences have a seemingly endless appetite for WWII narratives, and that this might have a little more to do with the book’s success than the fact that Doerr writes tight sentences. Especially considering that most bestsellers read as though they were written by victims of head trauma. I’ve sat through some very bad writing workshops. And I strongly agree that those who would teach the art of writing need to start with the basic mechanics of the English sentence. Leave plot and character for later — first try a little style. I would advocate for the absolute opposite. Style can’t be taught, while what literature really desperately lacks is storytelling. The idea that the sentence is the basic unit of writing–which this article advocates–is hateful garbage. The story is the basic unit and Anthony Doerr couldn’t tell a story if he had a Luger Parabellum pointed at his head (see? research!). Esoteric Bob Parsons’ comments on the random sentence stimulated me to notice another thing the sentence does: It enacts the construction of space, space extending beyond any “I”, by a person who can not see, through hearing. Cars splashing along the street are the cues for the street itself, the objects on it, and their movement; the sound diminshing in the distance the vanishing point for parallel lines. Americans seem to me to not be hungry for anything without an American perspective. How well did the Kindly Ones do, or Life and Fate, or Tora, Tora, Tora? PPP (Purely Personal Perspective): I can see. I did have an experience coming down from peyote, on an overcast night in Big Sur, no moon, under a redwood tree, and in a tent. As the spark of my nightcap-joint died away I had a brief panic at having no visual cues to tell me there was anything but nothing around me. The panic lifted as I began to hear sounds, insects, wind in the trees, and sense a three dimensional space from the sounds and faint echoes. For what it’s worth. I disagree with the idea that a blind person does not have a concept of space, and does not know what street is, or a runnel, or a tree. The sentence does not disturb the perspective of blindness. But it is clear that the writer is commenting on blindness, not living within it (unlike, perhaps, Saramago’s Blindness, although it has been a long time since I read it). The idea that a book became a bestseller chiefly on its sentence-level prose is so utterly ridiculous I can’t believe it has been proffered with a straight face. Aunt Judy: You should read this book I read in my book club. Aunt Sally: What’s it about? Aunt Judy: Who cares, the sentences are unbelievable! The author seems to suggest that there is a straight-line correlation between quality and sales. Simply write good sentences, and your book will sell like hotcakes. What a quaint notion! 50 Shades, Harry Potter, Hunger Games: sentence-level masterpieces, all of them! We joyless unsuccessful writers trolling the Millions may care about sentences, but the casual readers who have bought this book en masse don’t. At all. Contra my previous comment to some extent, I think you’re underestimating the casual reader. My mother-in-law, for example, read the book in her book club and recommended it to my wife on the basis of its “beautiful writing.” Now, I’m not sure if she qualifies as a “casual reader”–she reads a lot, and widely (plenty of crap and non-crap)–but she certainly is not trolling The Millions comment section, nor are her fellow book clubbers. My wife, in turn felt the same way and has recommended it others on that basis. So, anecdotally, I do think there’s some merit in the author’s idea that the quality of Doerr’s writing is selling copies. That said, yes, it seems clear that other factors–subject matter, marketing, book cover–are probably more important than writing tight sentences. I heartily agree with Marie, and not at all with Benn, who seems to feel that he’s a victim for speaking truths that others don’t want to hear. I don’t think Harry Potter is particularly well written, but it’s a heck of a story, a heck of a creation. It’s wonderful and fun and full of value. Critics often seem to miss the forest for the trees. Mary: how in any which way shape or form did I come across as a victim? Don’t project your pathologies onto other people, it’s tacky. All I said was that jealousy is not the answer for why someone wouldn’t like this book, but it’s the answer most readily available to people who are can’t or won’t understand why other people don’t like them or what they do. “You’re just jealous.” Very juvenile and very American. I don’t know Anthony Doerr’s work and don’t claim to know the merits of this particular book. All I know is that writing about World War 2 is the literary equivalent of being a slave to fashion. It’s cheap and easy. Not sure why you are so bent out of shape. You imply Doerr is doing little more than pandering to the masses, and some people disagree with you. You can’t have imagined everyone would agree with that dismissive point of view. I certainly don’t. Your postings seem inexplicably angry, which I think is what Marie was getting at. If were to present ideas in a less confrontational way I’m sure more people would see your point of view. Gorey’s illustrations give off a sense of hopelessness and terror. Very often they perfectly match and heighten scenes from the novels. There is, inherent to basketball’s play, an indeterminacy that may not lend itself to conventional narrative.